Now that we learned how to keep your guacamole from turning brown, it’s time to figure out how to make it! 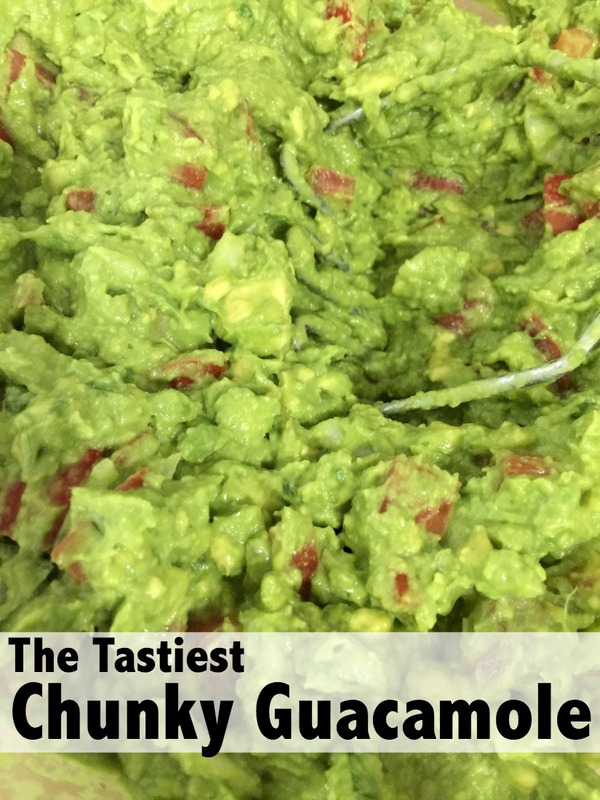 Guac is one of my absolute favorite dips, so I was surprised at how easy it is to make a batch! We were making this for a party of 20 or so people, so adjust the measurements accordingly! De-seed the avocados, setting aside their seeds (if you want to use our method for keeping your guacamole from turning brown you’ll need the seeds later). Spoon avocado flesh into a large glass bowl. Mash with a potato masher. Add tomatoes, onion. 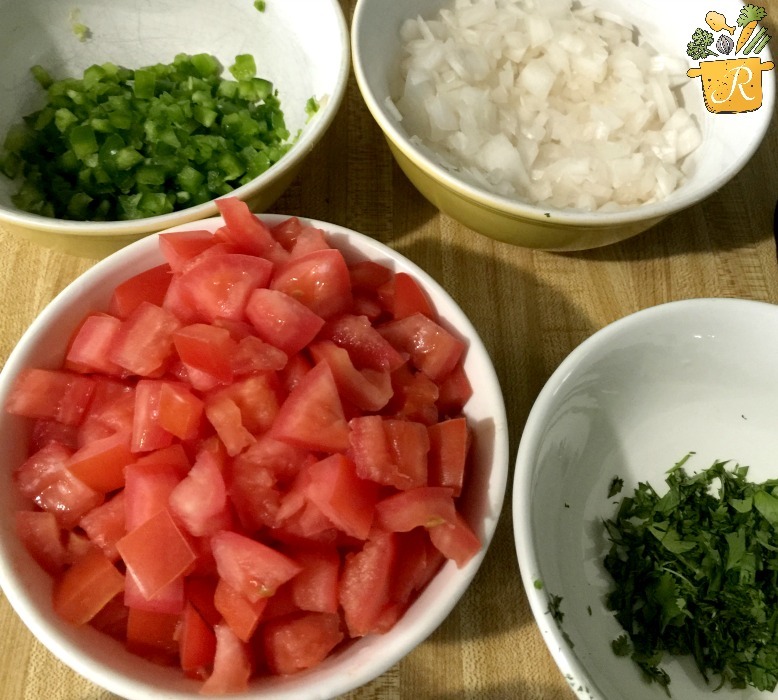 jalepeños, and cilantro to the bowl and mix together using the potato masher. Tip: When chopping the tomatoes make sure you remove the seeds and liquid from the tomatoes so that it doesn’t change the texture of the guacamole. When done mixing, add the squeeze of lime and salt to taste and stir one last time. 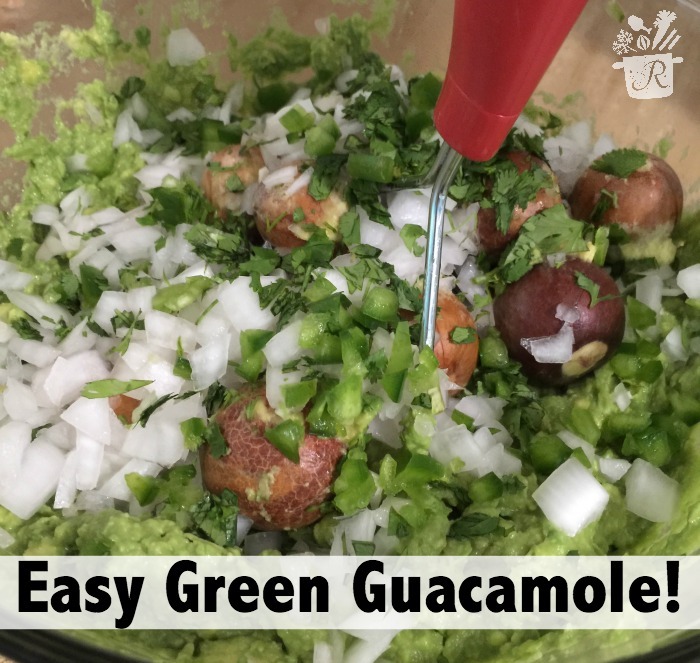 If you aren’t serving it right away, you can use these instructions to keep the guacamole from turning brown. A lady in Guatemala taught us her trick for it, and we’ll never make guacamole another way! This recipe is perfect for the big game! 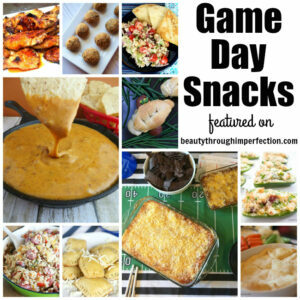 Check out more of our favorite game day snacks here!